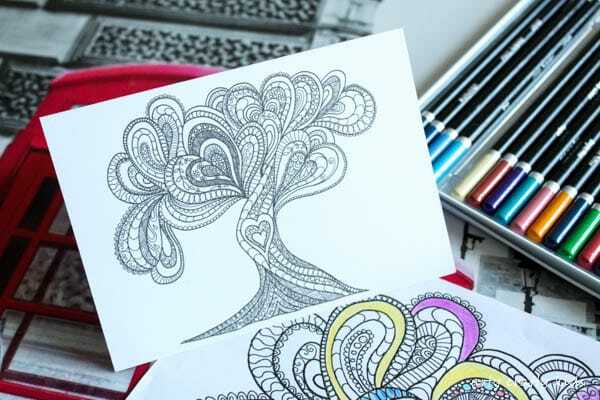 There’s a certain charm about hand drawn coloring pages. 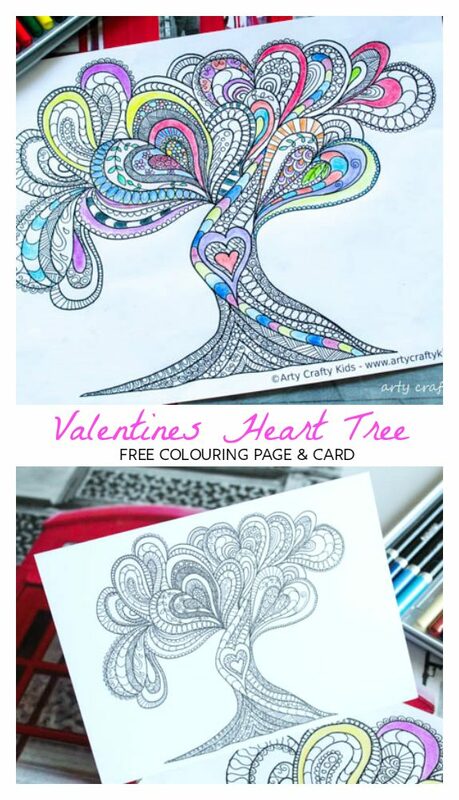 The combination of irregular lines and free flowing design, not only makes them unique, but interesting too and I hope you can see that a oodles of love was poured into this gorgeous Valentines Love Tree Coloring Page. I love it, my kids love it and I hope you love it too! 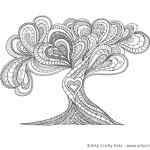 And as a fun extra, you can also download our Valentines Love Tree as a Valentines Day Coloring Card. 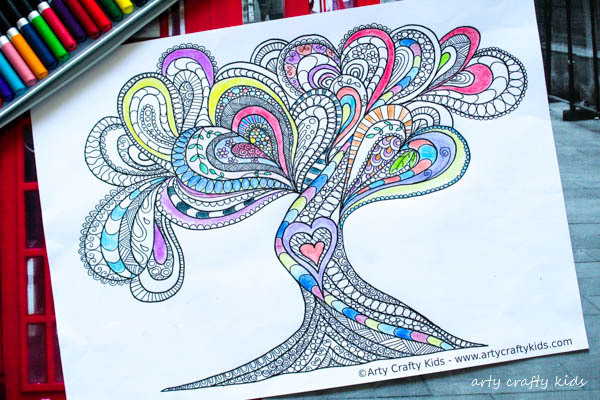 To download your love tree, simply click on the ‘ADD’ buttons and follow the on-screen instructions! For more coloring pages and cards for Valentines, take a look at our collection of Heart Coloring Pages! 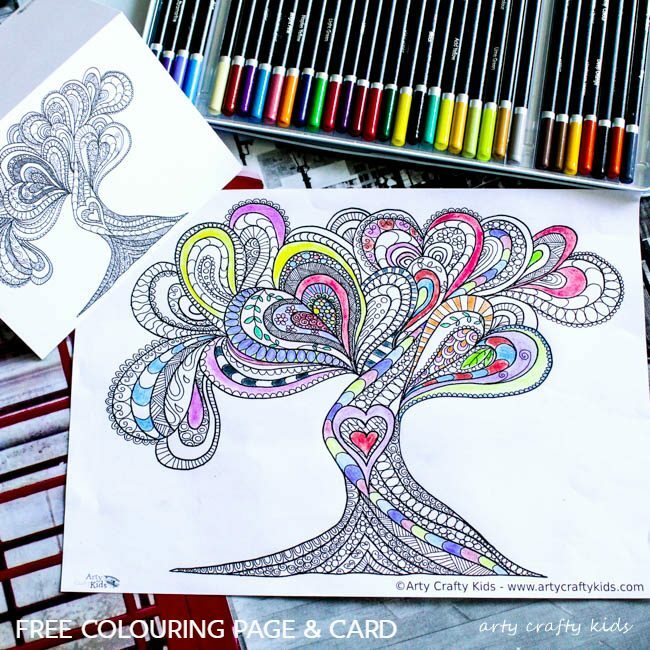 Sign up here to keep up to date with our latest coloring pages! Please note that our printables are copyrighted material and are to be downloaded for personal use only. The images must not be altered or redistributed in any way without prior permission. For more information, see our copyright statement.